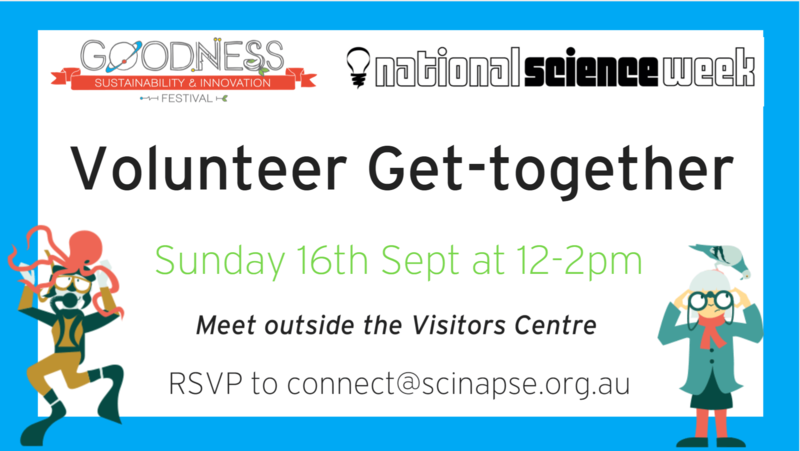 As a way of saying THANK YOU to all our amazing volunteers who helped with Goodness festival 2018, Scinapse is organising a small get-together on Sunday the 16th of September. Please meet on the grass area next to The Visitor’s Centre in town where we will supply lots of food, treats, some drinks and science games. We really couldn’t have run Goodness Festival without the help of all of you so please come along so we can express our many thanks!